Born in Hong Kong and graduated from the Faculty of Architecture in University of Hong Kong, Steve's works reflect the projects' unique characters with his contemporary touch, taking inspirations from the Asian culture and arts. Steve is the winner of the Andrew Martin International Interior Designer of the Year Award and has won over 130 awards worldwide. He serves the design industry in many capacities with enthusiasm. 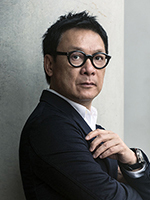 As the President 2017-2019 of International Federation of Interior Architects/Designers (IFI) and Board of Directors of Hong Kong Design Centre, he actively promotes the education and the development of the design industry.